You can book via our website or if you prefer you can book directly in our office. Once you have taken your decision, book as soon as possible, otherwise you might lose the room that can be rented by somebody else. It depends the type of contract you choose. You can see the types of contracts here. Do you take a deposit ? Yes, it depends the contract. Normally the deposit is equivalent to one month rent. Do you pick me up ? We can help you by giving you all the indication on how to reach us best. Arriving from the Train Station or the Airport, you have a taxi station at 10 meters. Anyway, we will also always give you all the necessary indication to reach our office, that you can reach easily by public transportation. 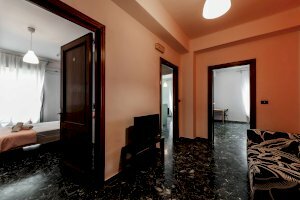 Once here we will help you find the flat´s location and the better option for you to arrive there. Mostly all of our flats are near the office, so going for a walk would be fine. In the description of each flat you can find the nearest bus stop. If you have any problem or doubt, you can come to the office and we will help you. Our office is in Bari. Go to contact page. Is there public transport around my location ? 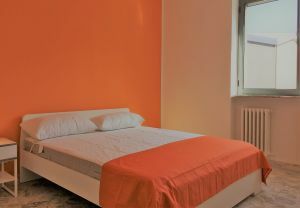 Yes, all our flats have a perfect locationand are well connected to universities and city center, with many bus options. What are the basic rules in the shared flats ? The most important for us is that all our tenants have the best experience ever all together. Basic rules are: no parties, no smoking and no pets. Do you provide bed clothes ? 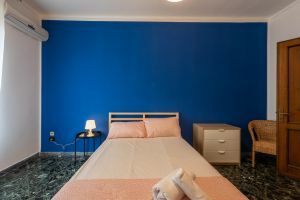 We don´t provide bed sheets; usually, the old tenants leave the old ones in the flatbut sometimes, buying your new bedlinen and bathroom linen can be pretty cool! What happen with the cleaning of the flat ? We provide a cleaning service once a week for the common areas for one hour for free. If there is some additional time, the price is €15/hour to divide between all the tenants. But remember the responsibility to keep the flat clean is yours. You could invite friends or family to stay over without any cost or problem. You only need to advice your tenants. We need to know it for administrative reasons only for more than one week stays. What services are included ? 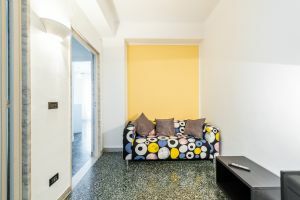 In the rent price are included illimitated WIFI connection and condominium fees. Usually, there is the electricity, gas and water to pay extra. Is there any parking around ? We do not provide parking place but if you are interested in it we can help you find a place to park your car. Remember driving in Bari is quite a nightmare so we suggest you to take a bike instead! What is the office schedule ? Our office is opened all working days from 9:00h till 18:00h. In the office we can solve all your requests or problems. Can I lock my room ? Yes, most of our rooms have lock. If no lock is provided, you can call your flat manager to solve this problem. Do you provide technical service ? In case something does not work, you just need to contact us and we will send our technicians as soon as possible. Can I furnish my room ? All our rooms are provided with a desk, wardrobe, bed and chair. Although you could decorate your room as you want and fill it with all you need. How can I pay my rent ? Normally all our tenants pay the rent in the office by cash or bank transfer but if you prefer, you can pay via PayPal. What happens if I want to cancel my booking ? Get in touch and tell us straight away. Our possibility to help you will depend on the timing and the circumstances of your cancellation; you can check our cancellation policy. Can I change my bedroom ? It depends, if you feel you want to do so, contact your flat manager to sort it out.